The Favourite is by far the most accessible of Yogos Lanthimos films to date. Taking a real historical figure, his unique directing style and a script full of memorable one liners capped off with stellar performances by Olivia Coleman, Rachel Weisz and Emma Stone make this a royally fun and entertaining way to spend two hours. 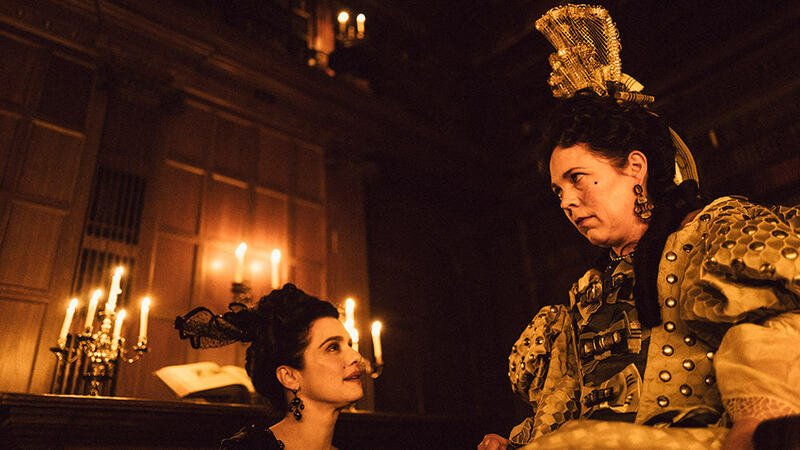 The Favourite is set in the 18th century when England is at war with France and Queen Anne (Olivia Coleman) sits on the throne. The real power behind the throne is Lady Sarah Churchill (Rachel Weisz), Duchess of Marlborough whose husband is leading the British resistance against the French. Sarah manages the Queen’s moods, ill health, fickle moods and any other fancies the Queen might have. Their happy little love in is shattered by the appearance of Abigail Hill (Emma Stone), later Baroness Masham a servant and long distant relation of Lady Sarah. Before you can say social climber, Abigail, is in the Queen’s bed but how will Lady Sarah Churchill take this especially as the Queen is her lover as well. Who will be the favourite? Good films start and end with the writing and this film proves this to be true. The writing duo, Deborah Davis and Tony McNamara. ensure that the script is full of zippy lines: “we must fight for what we must fight for,“ or “I’m always on my side”. The vulnerability and private distress of what it must be like to be monarch who is largely unable to produce children is brought vividly to life by Olivia Coleman’s much lauded performance. What is refreshing about this film is that Queen Anne’s husband is never shown. The men add a little bit of texture but this is about the rather unusual love triangle between three women. It feels so fresh there are times you forget it is the 18th century. If you are looking for a historically accurate film this is not it. However if you are looking for something entertaining, stellar performances as well sumptuous cinematography and direction then this is the film just don’t dwell too much on the disappointing ending. The Favourite moves at a cracking pace and you’ll be hard pressed to pick a favourite out of the three leading actresses. The Favourite is nominated for ten Oscars including Best Picture, Best Actress at this years Oscar 2019.